Harry N. Abrams, 9781419729812, 384pp. 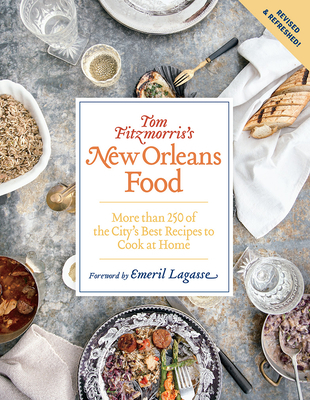 Tom Fitzmorris started The New Orleans MENU, a review of New Orleans dining, in 1977; 20 years later, the publication evolved into its current form as a daily Internet newsletter. Tom's radio show "The Food Show," is broadcast every afternoon on WSMB 1350 AM. He is the former editor of the weekly newspaper Figaro, and the monthly New Orleans Magazine. Tom became a Certified Culinary Professional from IACP in 1986.